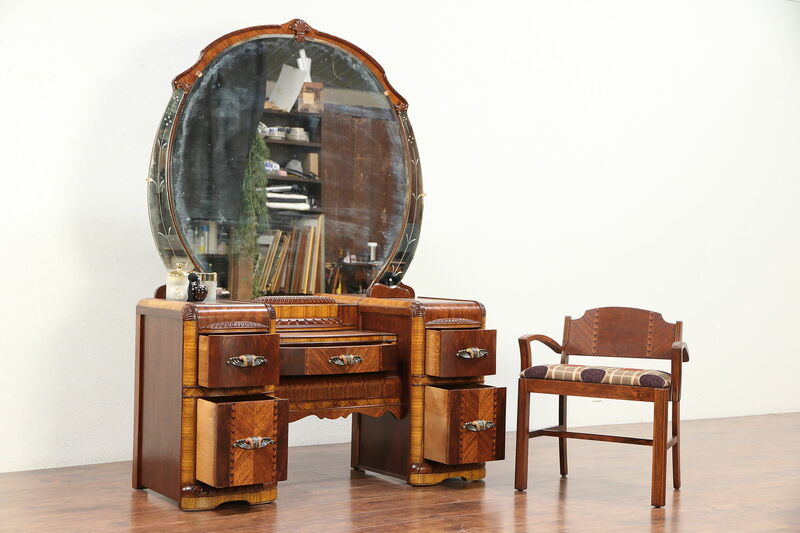 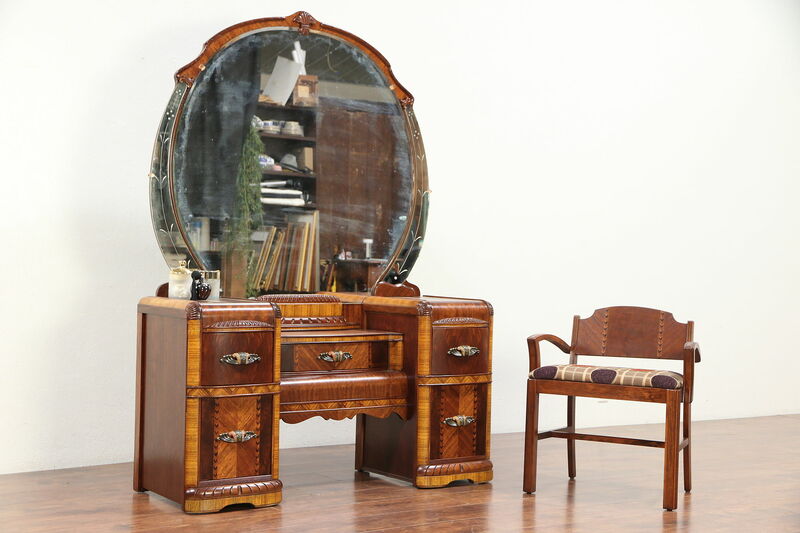 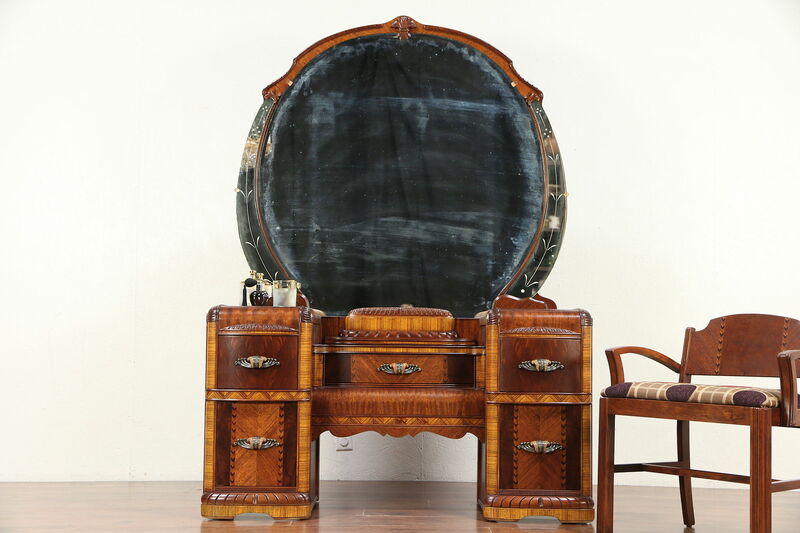 An Art Deco "waterfall" design vanity or dressing table with matching chair dates from the late 1930's. 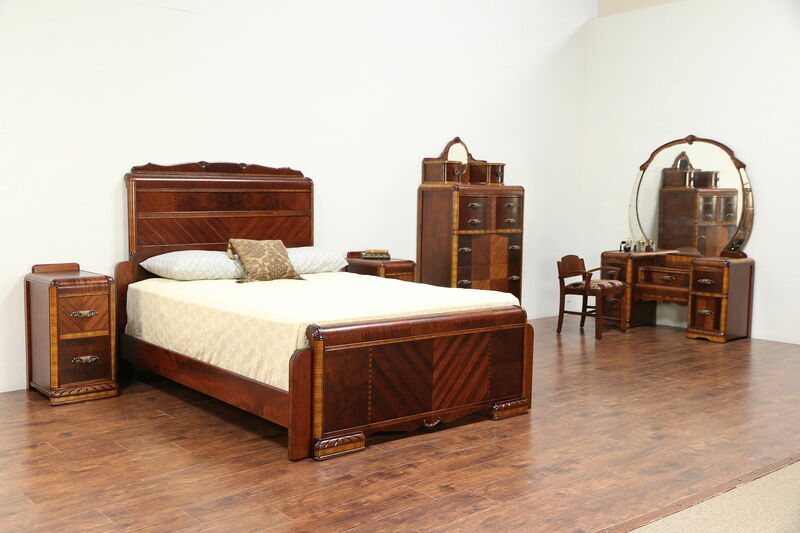 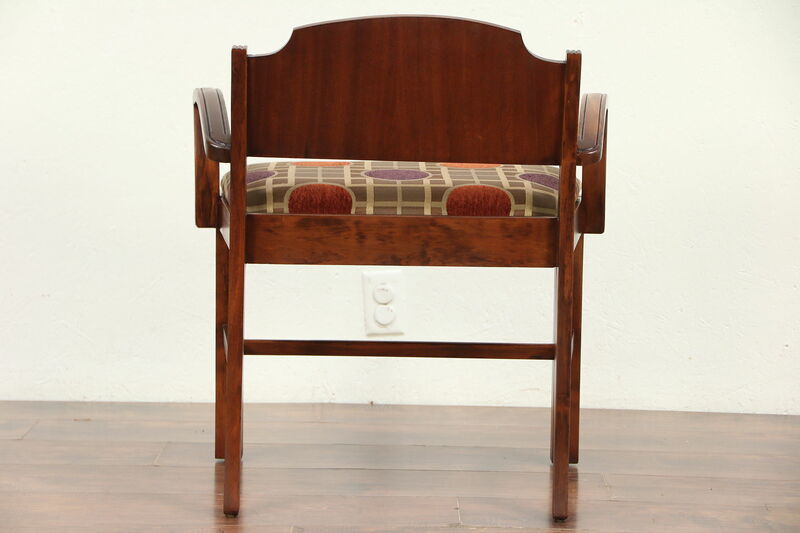 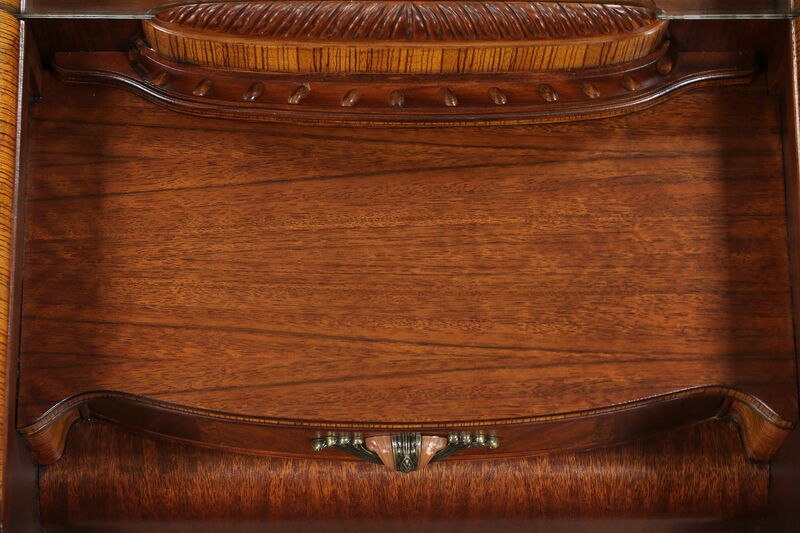 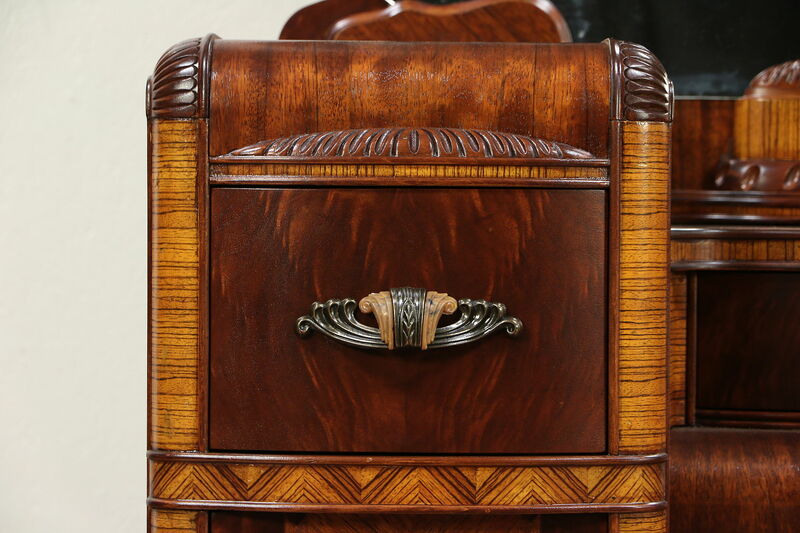 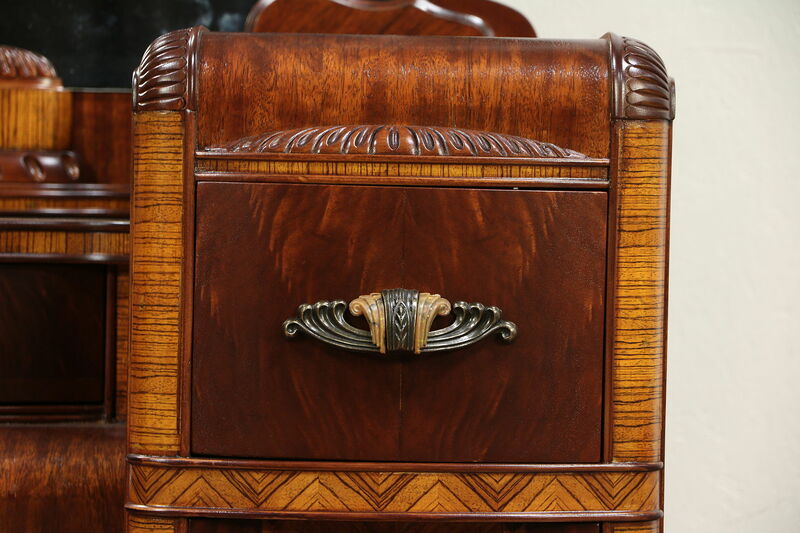 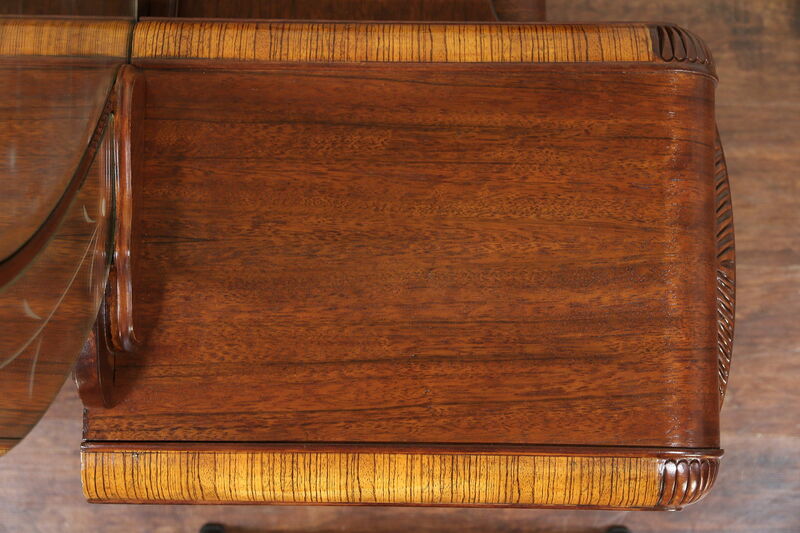 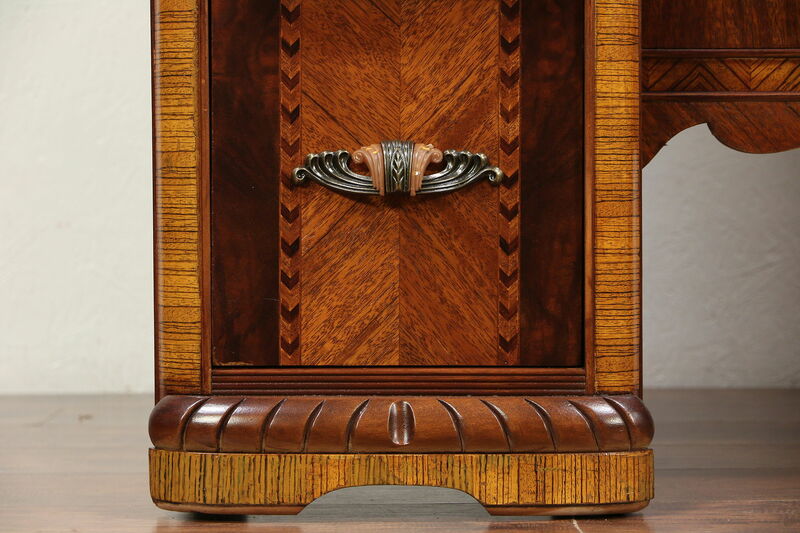 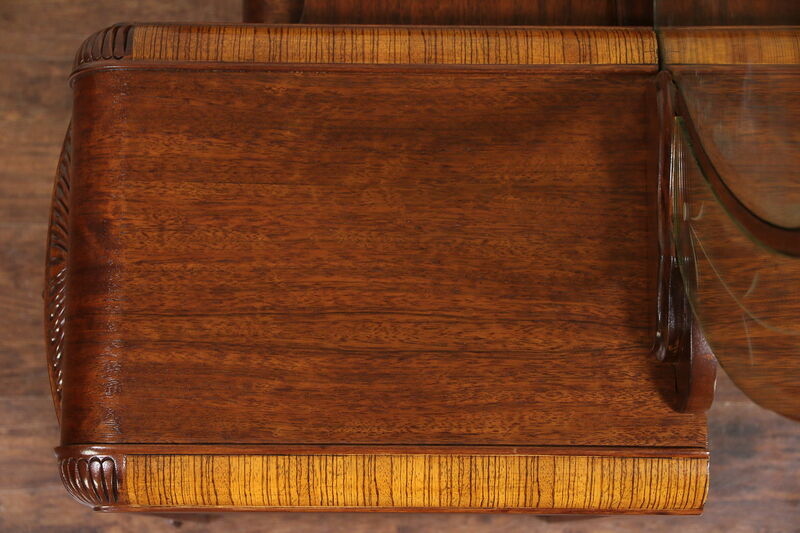 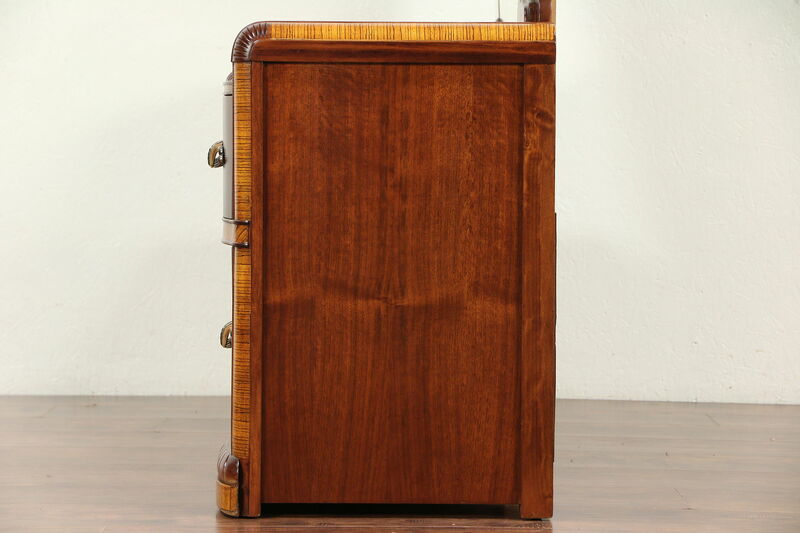 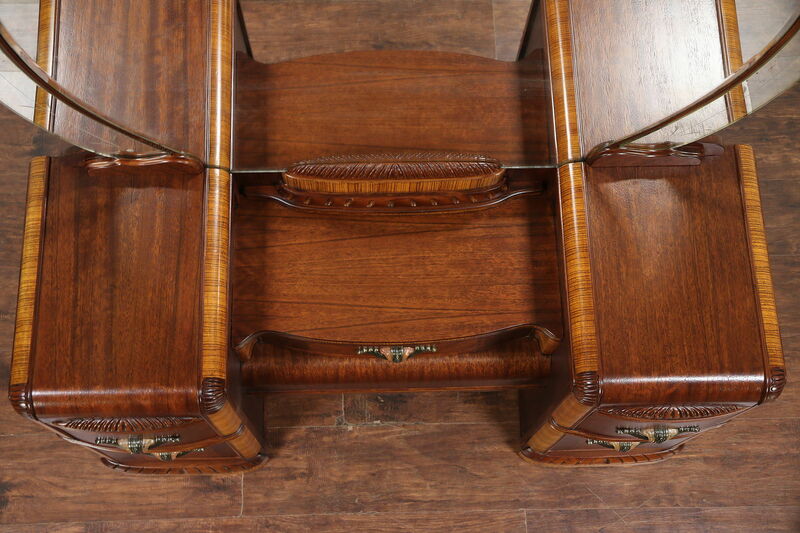 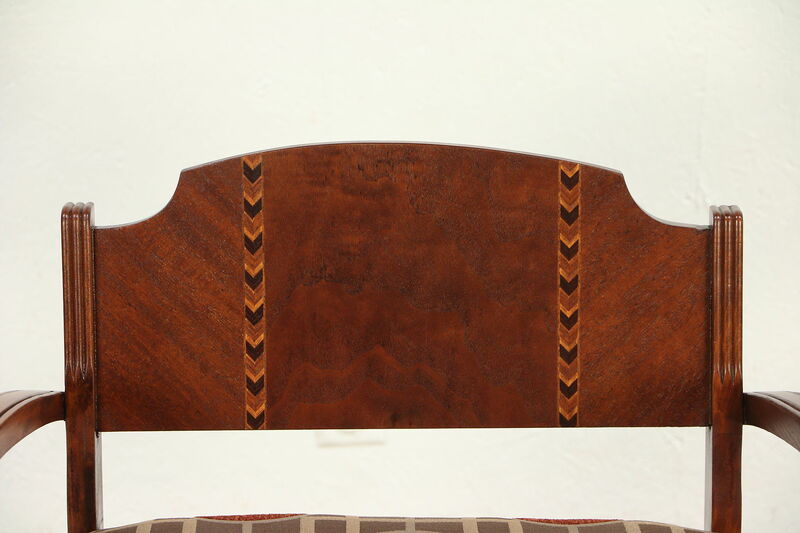 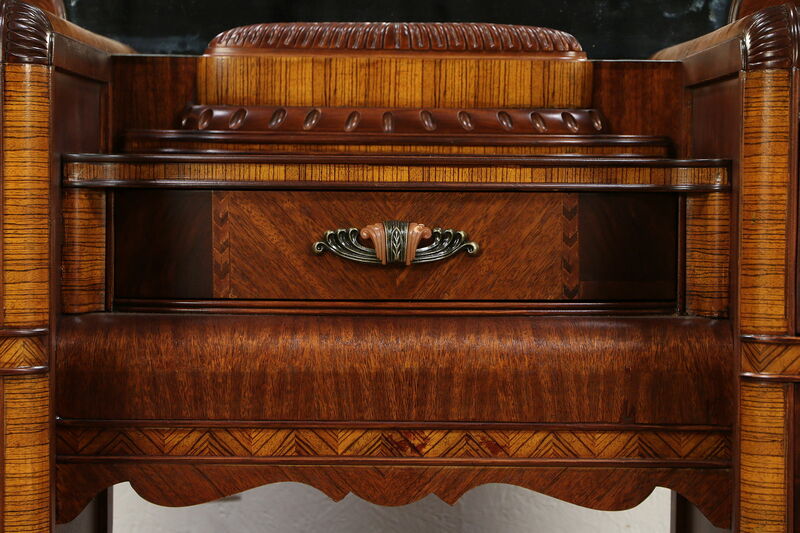 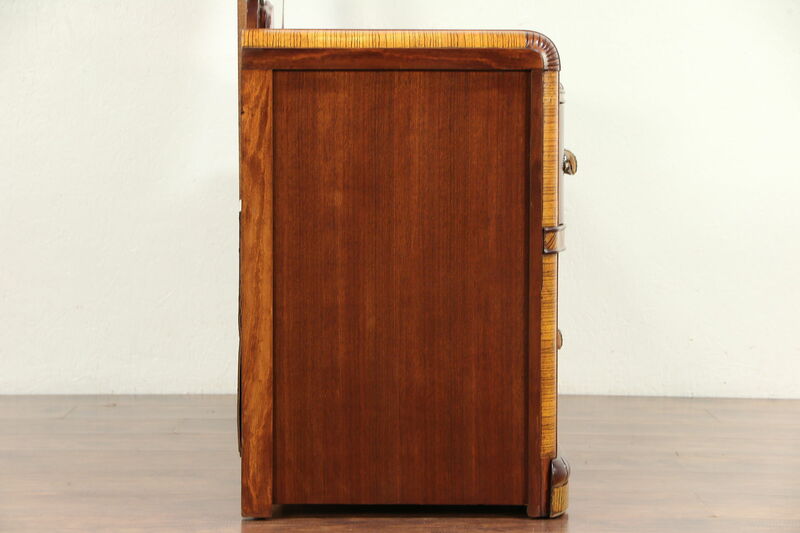 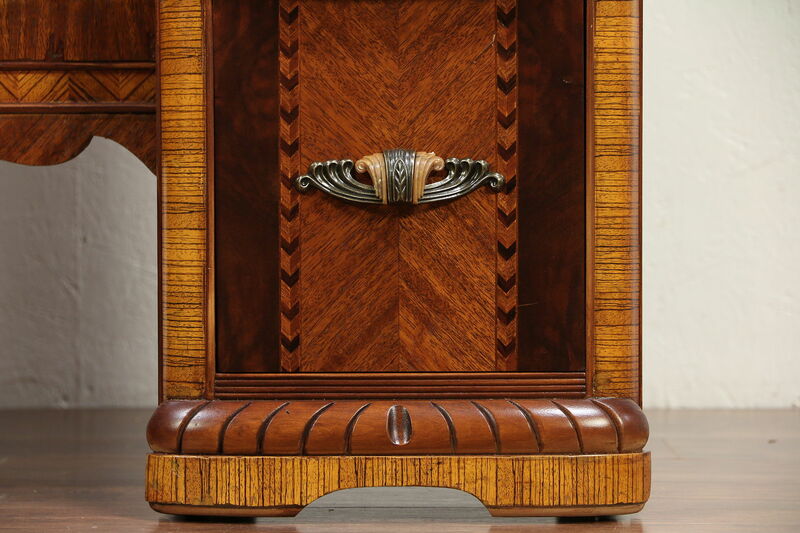 Matched mahogany, walnut and zebra wood have beautiful grain on this American made vintage furniture. 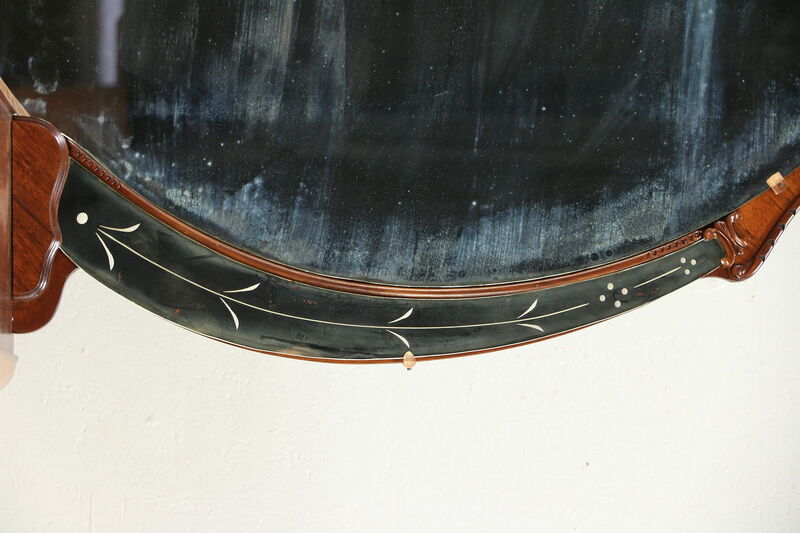 The restored finish is in excellent condition, preserving a few mars at the edges for a little antique character. 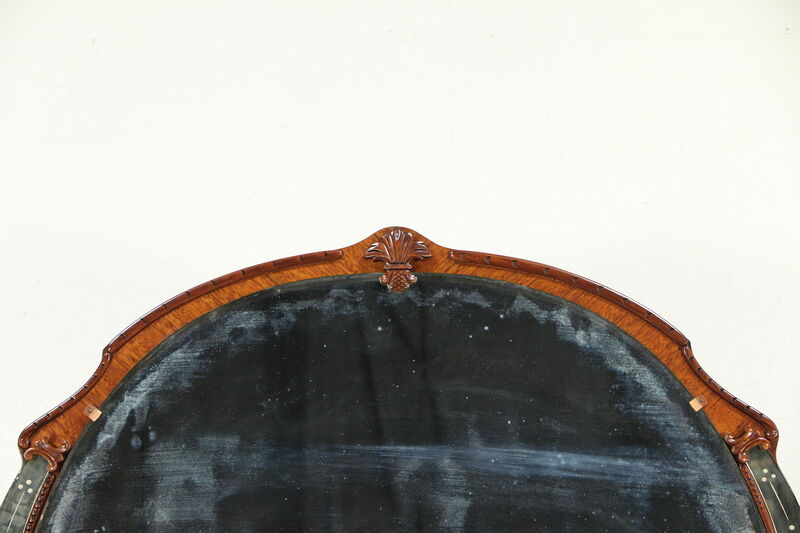 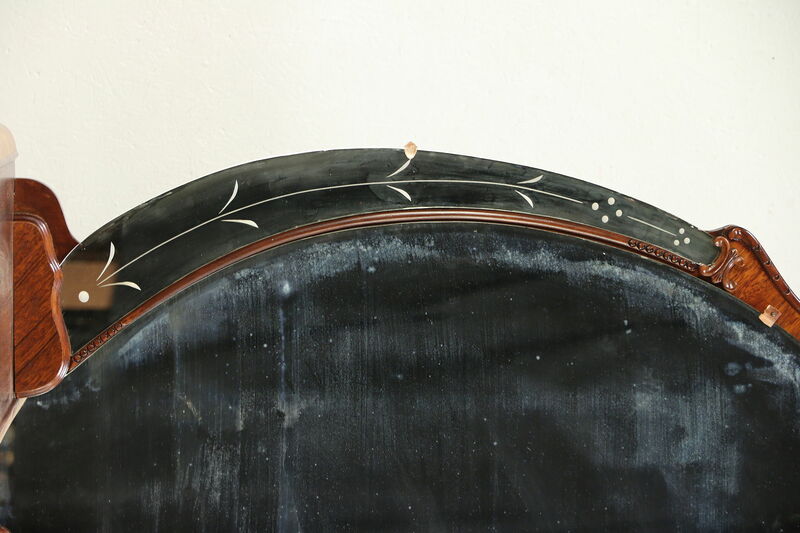 There is a hint of "smoke" in the beveled and reverse etched mirror to show its age. 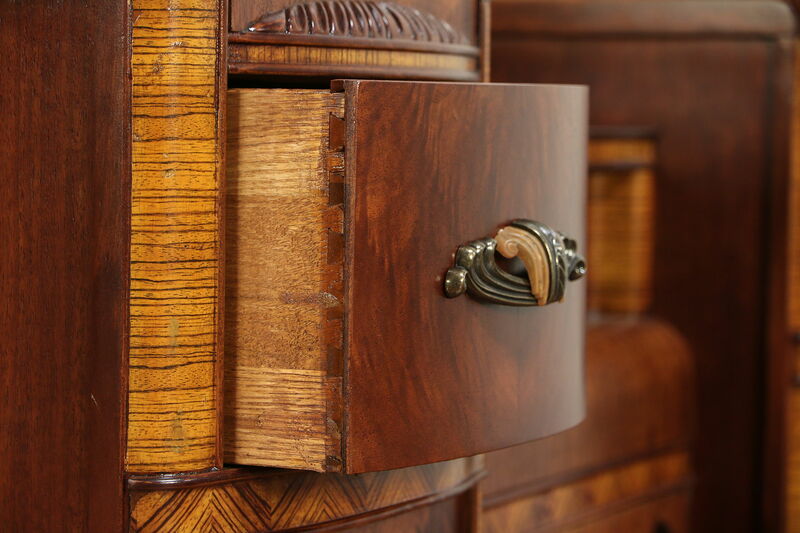 Drawers have solid oak sides with dovetail joints and hardware with bakelite mounts. 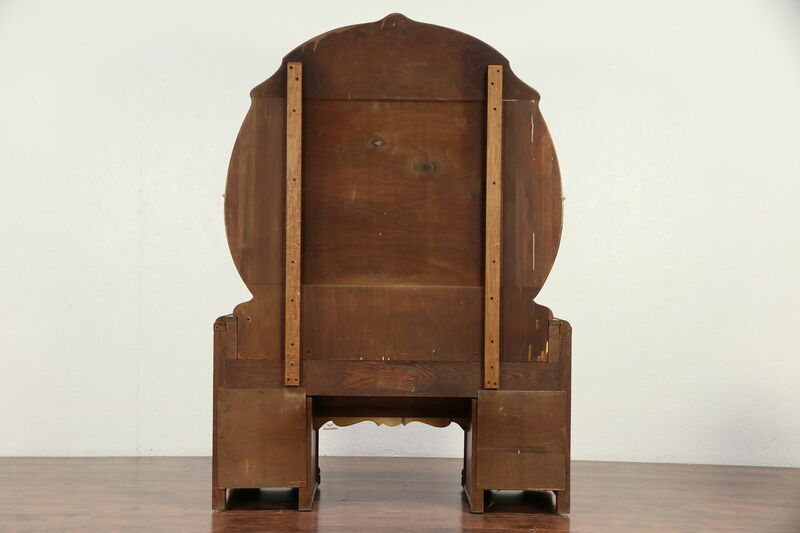 Measurements are 51" wide, 20" deep and 71" tall. 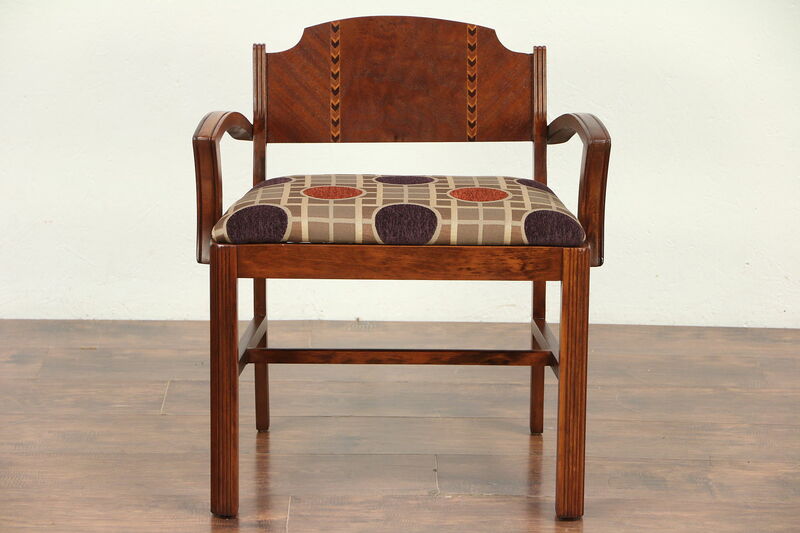 The chair is newly upholstered and has been reglued to serve another generation. 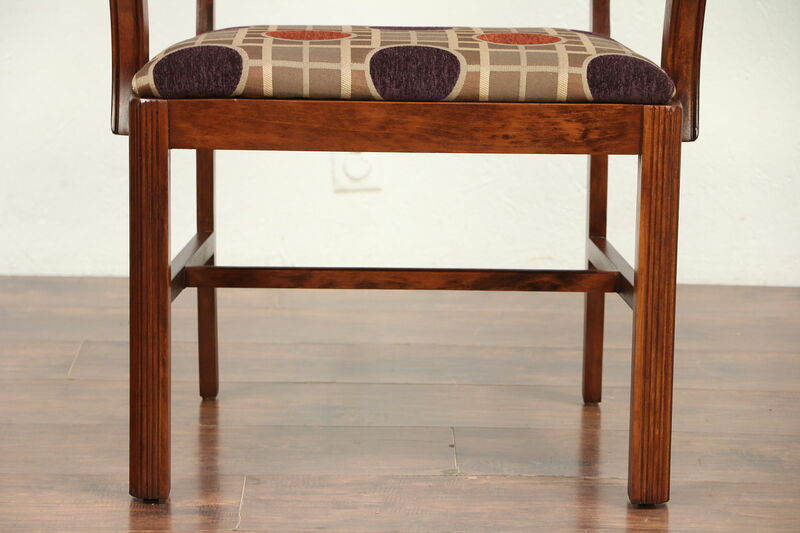 Measurements are 25" wide, 18" deep, 27" tall and the seat is 19" high.